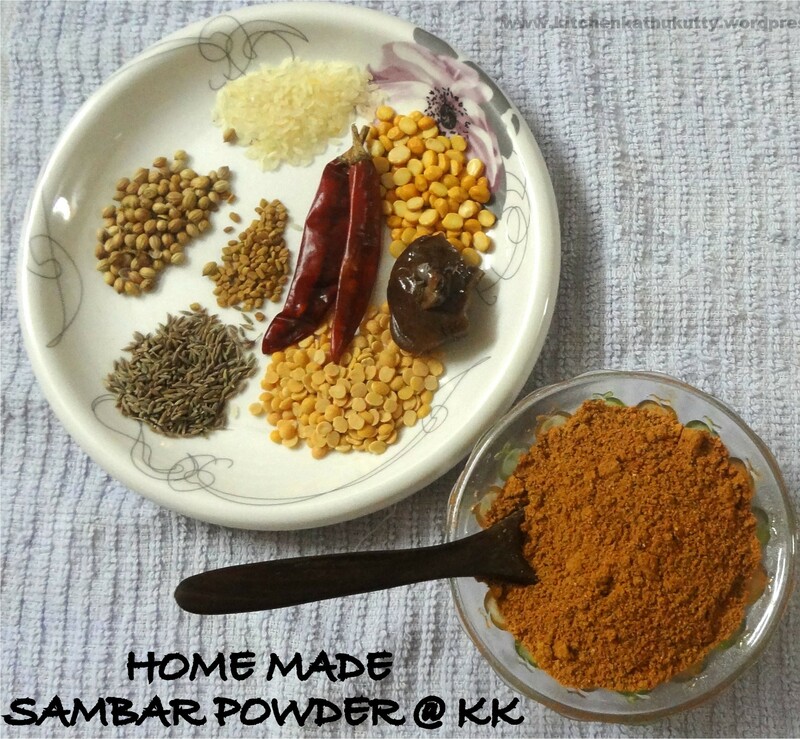 Few of my readers wrote to me asking for home made sambhar powder especially for babies above 7 months.Here is my mother’s recipe of sambhar powder. I don’t hoard this in large quantities at home. Because I prefer to make it in different ways and keep changing it. I will post all versions soon. The recipe is below is a common one. If you prefer to do it separately for your baby,quarter the amount of red chilly used. Click here to know when and how to introduce spices to baby foods. 1.Clean all the ingredients and dry them separately one after the other. 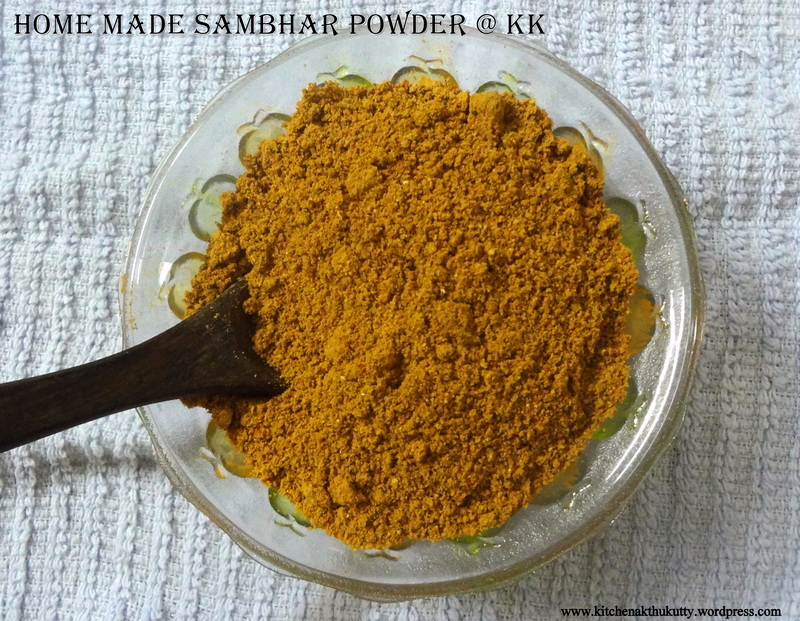 3.Blend all ingredients except red chilly together into a smooth powder. 4.Remove the powder and add red chillies and blend well. 5.Add the powder along with chilly powder and run the mixer. 6.Cool and store in an air tight container. If you prefer to make a large quantity grind it in a mill. Use a dry mixer jar to grind. This will stay good for 3 months in normal temperature. You can also add hing powder instead of the thick one. Dry roast the items carefully in medium flame. Do not let it blacken. Roast until it turns slightly brown or aroma arises. I missed capturing images of roasting ingredients separately. I shall add them soon. Be sure to cool the powder well before storing. While blending quantities do it in batches. You can also sun dry all ingredients before dry roasting. Colour depends on the red chilly used. Increase or decrease red chillies to suit your taste.